Om Nom has traveled back to the Stone Age and is looking for his ancestor. Watch Om Nom battle his way past carnivorous plants, giant insects, and baby dinosaurs on his mission to feed Prehistoric Om Nom with candy! Marienette has a huge passion for fashion. She dreams of becoming a fashion designer like her role model Gabriel Agrest. This animation created by children from Marryatville Primary School, South Australia in 2008 for the song 'I Am The Earth'. Betsy and all her friends learn the causes and effects of pollution, and even though it's a big problem, kids can help by picking up trash and recycling. The Big Pig Song is a singalong song from Hooked on Phonics Learn to Read. You laugh, you'll cry. You'll learn words that have the letter i.
Henry Cavendish was the first scientist to test gravity in the laboratory. Thanks to the "Cavendish Experiment," we know how much Earth weighs! Sing along with They Might Be Giants and learn about three states of matter: Solid, Liquid and Gas. This robot sure knows the way to Om Nom's heart! Hint: it's sweet! Watch this episode of Om Nom Stories and see how Om Nom dances when he's eaten too much candy. Robin makes marionette versions of the other Titans as a way to deal with their lack of respect. However, he takes things a little too far when he wishes the real Titans were more like his puppets and The Puppet Wizard grants his wish. Robin's wish comes true and he finally gets superpowers - but at what cost? A new world is started. NinjaHamster in his usual funny self. Meet the Almighty Water Chicken! Om Nom has a bad case of the Monday morning blues! Now he's on a mission to find the one thing that will make him feel better... candy! When he is tasked with looking after the Bat-cave, Robin questions his relationship with Batman while struggling to keep the other Titans in line. Fight & Fright Night at the museum with Batman, Red Robin and Scarecrow. Minecraft lesson part 2: We finish building our cozy cottage and craft some new blocks for future projects: smooth stone, brick, and stone brick. The Titans overuse Raven's dark magic, causing unintended consequences. Beast Boy pretends to be a ghost haunting Starfire so she will do his bidding. When she figures out the ruse, she and the other Titans convince him that he’s actually dead. When the Titans replace the couch with a treadmill, Cyborg and Beast Boy must get guidance from the couch spirit. PrimaryGames is the fun place to learn and play! Play cool games, math games, reading games, girl games, puzzles, sports games, print coloring pages, read online storybooks, and hang out with friends while playing one of the many virtual worlds found on PrimaryGames. 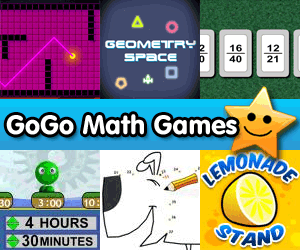 Play your favorite Virtual Worlds right here on PrimaryGames. We have popular games like Fantage, Club Penguin, ourWorld, and Moshi Monsters in our virtual worlds section. All games are free to play and new content is added every week. We work hard to bring you best gaming content on the web! Each game is reviewed to ensure that is is safe for all ages. With over 1,000 flash game titles and growing we have the largest collection of cool games online. Whether you like Adventure or Racing, Classic Arcade or Action, Strategy Puzzles or Dress Up games, we have something for you! © Copyright 2000 - 2019 PrimaryGames, Inc. All rights reserved.